Brezcoin (BREZ) on the Cruise Blockchain for Virtual Reality Cruise Tours (“sell assets on VR/AR platform to build cruise passenger loyalty and Customer Lifetime Income”). Trade BREZ for BTC and book cruise assets on a virtual reality platform for the ultimate geography tour of your cruise experience, before you even set foot on your favorite cruise ship. Proposed Platform: “brezcoin.com”, “cruiseblockchain.com”, “cruisevirtualtours.com”. Brezcoin is a dedicated cryptocurrency for cruise ship travelers who earn cash “virtual reality tokens” for completing virtual reality cruise tours on a VR Headset and specific viewership experiences in our Cruise Virtual Reality Landscape on a VR/AR Platform. Brezcoin is an anonymous hybrid cryptocurrency that can be exchanged Bitcoin for Cruise Ship e-Gift Certificates. Being able to earn virtual currency on a VR Landscape provides an entertaining method of educating an empowering the aspiring cruise passenger using a Cruise Ship Virtual Tour experience to increase retention of the visual experience through the acquisition of Brezcoins for completing tasks during the Cruise Virtual Reality Tour. You can trade bitcoin for Brezcoin (BREZ) on our “Cruise Blockchain – A Virtual Reality Cryptocurrency Project”. One Brezcoin (BREZ) token is set at the value of 1/100th (“one hundredth”) the value of One Bitcoin (BTC) at the time of the trade or transaction. Our Cruise Blockchain is considered to be a decentralized public ledger with anonymous distribution of a set number of coins whose value is determined by the market. Brezcoin value is determined by the market and not mined, but distributed by the coin creator to encourage investment and/or donations in our Cruise Blockchain and Virtual Reality/Augmented Reality Cruise Tour Platform. Trade Bitcoin (BTC) for Brezcoin (BREZ). Brezcoin is a virtual currency that uses encryption techniques to secure, create and transact in measured units as an “alt-coin” and exists as its own hybrid cryptocurrency that is designed to be anonymous and decentralized. As an “alt-coin”, Brezcoin doesn’t get mined, but it is dropped and self-distributed and utilizes the same curve that BITCOIN uses: SECP256K1. Each coin is created as a string and then hashed and the output is saved as a .coin file. While other cryptocurrencies are mined and traded on exchanges, Brezcoin on our Cruise Blockchain allows cruise lines to monetize their cruise tours (“cruisevirtualtours.com”) for market penetration and leverage to new audiences and sell assets “gift certificate exchangeable credits” during Cruise Virtual Reality Tours. Our goal is to build an ecosystem around the virtual cruise tour experience and expand the marketing leverage of cruise lines with advanced digital marketing to their target demographic. Our Cruise Blockchain Project embraces “The Internet of Things” and the virtual currency exchange marketplace. Our goal is to embrace the future of blockchain technology and the way cruise ship passengers are embracing virtual reality (VR) and layered augmented reality (AR) to book cruises. Our mission is to give consumers the option to vote for their favorite cruise ship and interact with their desired cruise experience through a virtual and augmented reality platform that is integrated into a virtual currency exchange using VR Headset (i.e. Utopia 360 – ReTrak) and biometric software to securely design their ultimate cruise experience. Emerging technologies such as blockchain technology will facilitate the transparent exchange of virtual currencies on a virtual reality platform and it will allow more and more passengers to connect with the experience of their vacation experience before they even set foot on the cruise ship or arrive at their desired destination. Profitability in the cruise industry will be predicated by this paradigm shift towards cruise virtual reality and layered augmented reality (VR/AR) and a digital currency exchange platform for cruise ship passengers and their friends and family on social media networks. Advancements in ocular and Face ID recognition will push innovation in the marketplace and cruise ship passengers will embrace the “Internet of things” integrated with cryptocurrency ecommerce solutions that allow cruise ship passengers the ease and versatility to engage with their desired cruise experience in a virtual reality using their smartphone and VR headset. Virtual reality didn’t exist a couple years ago and when coupled with cryptography, cruise ship passengers will be able to embrace the integration of the blockchain technology that gives users access to a wide array of interactive virtual reality options for designing and creating their ultimate cruise experience. The “blockchain” or ledger of virtual currency transactions represents one of the most promising enterprising platform for the airfare and cruise industry. To leverage a competitive edge in the cruise marketplace, companies will look to blockchain technology integrated with layered augmented reality and artificial intelligence in the form of a personal VR (Virtual Reality) headset to appeal to their targeted demographic and customer base. The Internet of Things and blockchain technology means that brands are able to appeal to millennial guests and passengers who are willing to pay a premium for optimized experiences and brands will be able to market directly to millennials while amplifying their experiences through the use of layered augmented reality platforms. View your entire cruise ship before you set foot on deck and sample cuisine onboard. Visit resort destinations and earn virtual cruise tour credits in the form of Dockcash. Exchanged earned Dockcash for e-Gift Certificates on a Virtual Reality Platform. The goal of the “Cruise Blockchain – A Virtual Reality Cryptocurrency Project” is to take advantage of open source platforms and API integration to appeal to the multi-billion dollar cryptocurrency marketplace and develop system integration for virtual reality and layered augmented reality to create virtual cruise ship experiences. The goal of this project is to take advantage of emerging technologies such as virtual reality software that can be integrated into a cryptocurrency platform for transparency. Cruise passengers will be able to make micro deposits in our digital cryptocurrency called Brezcoin (BREZ). Passengers can make earned Brezcoin deposits from their secure Cryptocurrency Wallets and exchange for e-Gift Certificates to pay for shore excursions, share with friends who accept email invitations to experience Cruise Virtual Tours and top up their Spend at Sea account to enjoy onboard ship amenities while enjoying their Cruise Virtual Tour experience. Cruise ship passengers will be able to use a fusion of virtual reality, augmented reality and artificial intelligence to bid on airfare, cruise, motel and rental car inventories and utilizing their Crytocurrency Wallets to earn discounts and great deals in the VR/AR Digital Marketplace. The blockchain will allow users to instantly pay and confirm worldwide without the need of third party intermediaries. Participating cruise lines get the benefits of instant confirmation, a high level of interactivity among their potential customers and access to a transparent and “chargeback-fee” transaction ledger. Trading Bitcoin (BTC) for Brezcoin (BREZ) will allow us to invest in building the infrastructure of our VR/AR Platform with our own Virtual Digital Currency integrated and in hiring computer programmers to build our Blockchain Platform and integrate a secure biometric recognition “iris recognition” for delivering enhanced cruise virtual reality experiences. Disclaimer: The CruiseVotes Cruise Blockchain is an experimental platform that integrates our in-house cryptocurrency called Brezcoin (BREZ) into our proprietary Virtual Reality Platform that intends to offer cruise lines new and innovative digital revenue streams in a virtual reality landscape to maximize their sales. Not endorsed or affiliated with Royal Caribbean, Holland America or Princess Cruise Lines. The sole purpose of trading Bitcoin for our cryptocurrency called Brezcoin (BREZ) is to formalize your donation to helping us build our Cruise Blockchain and Virtual Currency “Cryptocurrency” Exchange. You can donate Bitcoin using the QR Code above and receive 1 Brezcoin (BREZ) for 1 cBTC (Bitcoin) received. The cryptocurrency marketplace is volatile and cause Brezcoin (BREZ) and Bitcoin (BTC) to fluctuate. As an investor who trades and “donates” to our Project at the rate of 1 Brezcoin (BREZ) = 1 cBTC (Bitcoin), you will receive a .coin file based on the same elliptic curve used for Key Generation and transaction signing using SECP256K1, the same curve that Bitcoin uses. We will distribute 50,000 coins for this Investment Project. BREZ is an alt-coin that uses a cloud based solution that employs secure elliptical curve encryption and a decentralized public ledger system that doesn’t get mined, but it is dropped and self-distributed by the creator for anonymous and decentralized distribution with its true value determined by the marketplace. For each coin distributed, a public key is written to the public ledger. Would you like to EARN FREE BITCOIN for your Bitcoin Wallet? 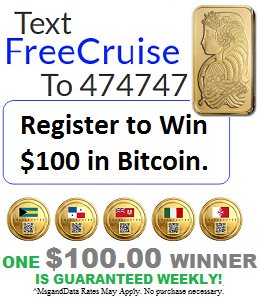 Subscribe today to our free CruiseVotes Newsletter to learn how you can earn free bitcoin from various companies for viewing a few advertisements online, performing a few tasks online and so much more. In 2017, the price of 1 BTC (“Bitcoin”) virtual currency rose to almost $20,000 and you can earn fractions of Bitcoins called “Satoshi” and get them deposited instantly into your Bitcoin Wallet. Once you download a free software program with a QR Code Reader, you will be able to send and receive bitcoin from anyone in the world and simply give them your bitcoin address (see text above in blue). You will be able to use your smartphone to scan the QR Code graphic above the domain names listed and send bitcoin anonymously to anyone in the world, instantly! You will also be able to give anyone your personal QR Code to receive bitcoin in your Wallet instantly without any third party intermediary. Join our email list today to learn how you can qualify to earn Free Bitcoin virtual currency that you can deposit into your bank account once you sign up for free with a virtual currency exchange, download free Bitcoin software and get ready to accept Bitcoin on your website. 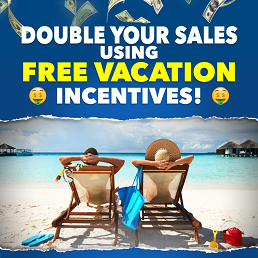 When you subscribe today, you will receive a Free 5 Night Vacation in one of four resort destinations in Mexico or a fabulous 3 Night Vacation in Orlando or Las Vegas. Learn how to convert your bitcoins you earn into airline tickets and how to secure cheap airline tickets online using this digital currency platform. As of December 28th, 2017, Bitcoins are being exchanged at roughly 1 Bitcoin (“BTC”) to $15,000 USD. Thanks to the innovation of the travel marketplace, you can exchange the free Bitcoin deposits you earn online for completing simple and easy tasks for cheap airline tickets. Virtual currencies such as Bitcoin and Ethereum are the perfect fit for frequent travelers and they are truly exciting options that are now available especially if you are earning Free Bitcoins! You’ll be able to convert the Bitcoins you earn into airline tickets! Subscribe!